Through August 7 – Master Artists Summer Camp at the Spartanburg Art Museum in Spartanburg. For students 9-13 years old to learn about famous artists and to work toward creating their own masterpiece based on their favorite artists. For more information call (864) 582-7616 or visit http://www.spartanburgartmuseum.org/spartanburg-art-school-children. Through August 9 – Rodgers & Hammerstein’s “Cinderella” at the Peace Center in Greenville. Come experience this fabulous classic in real life. For more information call (864) 467-3000 or visit http://www.peacecenter.org/events/detail/rodgers-hammersteins-cinderella. August 8 – Electric City ComiCon at the Anderson County Library in Anderson. The event celebrates superheros, comics, science fiction, literacy, and art with there being gaming demonstrations, tournaments, and more. For more information call (864) 260-4500 or visit http://www.andersonlibrary.org/events/electric-city-comicon/. August 15 – Edouard Michelin Memorial 5K at the Michelin Conference Center in Greenville. This walk/run event will be held on the hills behind the Michelin facilities Donaldson Center Campus. For more information call (864) 458-4374 or visit http://go-greenevents.com/event/id/3201. August 15 – Rolling Waterwheel Gospel Jubilee at the Hagood Mill Historic Site & Folklife Center in Pickens. Bring a chair and/or a blanket and join this camp style sing along with old gospel songs from all local traditions being sung by the heritage singers. For more information call (864) 898-5963 or visit http://visitpickenscounty.com/event/1174/rolling-waterwheel-gospel-jubilee-at-hagood-mill/. August 20 – “Alive Inside” at the Peace Center in Greenville. This free event is a documentary about how music has been able to help Alzheimer’s patients with their memory by connecting them with music from their past. For more information call (864) 467-3000 or visit http://www.peacecenter.org/. August 21 – 22 – Williamston Spring Water Festival off Highway 20 between Anderson and Greenville in Williamston. Event will include arts & crafts, a health fair, an antique car show, live entertainment, and more. For more information visit http://springwaterfestival.com/. August 21 – 23 – A Celebration of Quilting at the Civic Center of Anderson in Anderson. Come see some of the most beautifully crafted quilts made and see if your favorite wins the show. For more information call (864) 964-0785 or visit http://www.andersonscquilters.com/. August 22 – Mutt Strut Run/Walk to be held on the Greenville Technical College campus in Greenville. This two mile event for dogs and their owners is along the Swamp Rabbit Trail and ends at the Mutt Market where there will be live entertainment, free food, and doggie entertainment. For more information call (864) 242-3626 or visit http://www.ghsmuttstrut.com/faf/home/default.asp?ievent=1140691. August 22 – The Beach Ball to be held on the Hartness Estate in Greenville. This event will include food samples provided by over 30 different local restaurants, a beverage tent, live music and dancing, an auction, raffle, and even fireworks. For more information call (864) 334-6223 or visit http://www.beachballfoundation.org/the-beach-ball/. August 22 – Flight of the Dove to be held at the Presbyterian College Bailey Memorial Stadium in Clinton. Event includes a 50 mile variation of the metric century (62 miles), a 30 mile ride, and a 14 mile leisure ride with proceeds benefiting the Hospice of Laurens County. For more information call (864) 833-6287 or visit http://www.hospiceoflaurenscounty.com/Flightofthedove.html. Through August 28 – “Native Americans of the Savannah River Region” at the Arts and Heritage Center in North Augusta. Learn about the variety of tribes that use to live and thrive along the Savannah River in South Carolina. For more information (803) 441-4380 or visit http://www.artsandheritagecenter.com/common/content.asp?PAGE=367. Through August 29 – “Digistar Virtual Journey” at the DuPont Planetarium at the University of South Carolina Aiken. Take a digital journey through space, enter a virtual space station, and even includes a trip through a virtual amusement park. For more information call (803) 641-3654 or visit http://rpsec.usca.edu/planetarium/showlist.html#virtualjourney. Through August 9 – “Miss Nelson is Missing” at the Fort Mill Community Play House in Fort Mill. This play is based on the book by Harry Allard and James Marshall. For more information call (803) 548-8102 or visit http://www.fortmillplayhouse.org/event/miss-nelson-is-missing/. August 7 – 9 – Harmon Classic Summer Fun Horse Show at the South Carolina Equine Park in Camden. For more information call (803) 983-0366 or visit http://scequinepark.com/2015calendar.php. August 8 – Bed Race: United Way of Lancaster County on Main Street in downtown Lancaster. Event will consist of food, games, a parade of beds and of course, the bed race. For more information call (803) 283-8923 or visit http://www.uwaylcsc.org/index.php?pr=Bed_Race. August 8 – Sprindale 5K at Sunrise the Springdale Race Court in Camden. Event will include pony rides for the kids. Dogs are allowed. For more information call (803) 600-1800 or visit https://www.facebook.com/Springdale5k. August 21 – From Lightening was Born a Man: Myth, Reality, and Chief Pushmataha at the USC Lancaster Native American Studies Center in Lancaster. Learn about this legendary Chief of the Choctaw Nation and the myths that surround him. For more information call (803) 313-7063. August 21 – 22 – Sandy Oaks Pro Rodeo at the Lazy J Arena off of Highway 23 west of Edgefield. Event will include the 2013-2014 champion bucking bull, the 2014 champion saddle bronc, and the two time world champion clown, back by demand. For more information call (803) 637-5369 or visit http://www.sandyoaksprorodeo.org/. August 22 – SummerFest in downtown York. This is known to be the most outstanding festival of the year to include a show by a BMX Stunt Team, a zip line, an antique show, a tennis tournament, live entertainment on three stages, and much, much more. For more information call (803) 684-2590 or visit http://www.yorksummerfest.com/. August 24 – 27 – The Marian Hagins Memorial Art Competition 2015 to be held at the Springs House/Lancaster County Council of the Arts in Lancaster County. The competition is open to anyone who is high school age or older. For more information call (803) 285-7451 or visit http://clclt.com/charlotte/the-marian-hagins-memorial-art-competition-2015/Event?oid=3617856. Tuesdays Through August 18 – “Sharks!” at Myrtle Beach State Park in Myrtle Beach. This program will help you to better understand these fascinating and important predators of the ocean. For more information call (843) 238-0874 or visit http://www.southcarolinaparks.com/myrtlebeach/myrtlebeach-programs.aspx. Through August 8 – “Tropher Brown and the Family Business” on The Deck at the House of Blues in Myrtle Beach. Enjoy this bands variety of entertaining music. For more information visit http://www.houseofblues.com/myrtlebeach/events/. August 5-7 and 10-14 – Aquatic Adventures Camp at Lynches River County Park in Coward. Kids will learn all aspects of the outdoors from this fun learning and exploring camp. For more information call (843) 389-0550 or visit http://www.lynchesriverpark.com/edc/summer-camp/EDC_SummerCamp.asp. 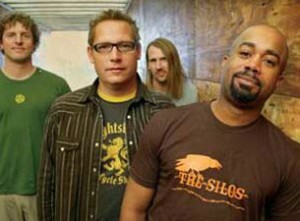 August 7 – 8 – “Hootie and the Blowfish” at the Family Circle Stadium on Daniel’s Island. Our boys are back together for this event, so come out and support them! For more information call (800) 677-2293 or visit http://www.familycircletenniscenter.com/concerts/. August 12 – “Sublime” in concert at the Family Circle Stadium on Daniel’s Island. For more information call (800) 677-2293 or visit http://www.familycircletenniscenter.com/concerts/. August 13 – Roast and Toast of Mayor Collins to be held at the Miler Golf Course in Summerville. Event will include heavy hors d’oeuvres, an open bar, and lots of laughs. For more information visit http://www.eventbrite.com/e/roast-toast-of-mayor-collins-tickets-17507528489?aff=eac2. August 14 – Nature’s Nasties at Myrtle Beach State Park in Myrtle Beach. Learn about the things in nature that can cause you harm or misery. 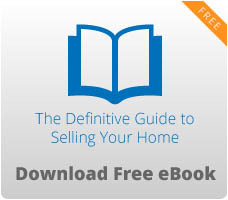 For more information call (843) 238-0874 or visit http://www.southcarolinaparks.com/products/10004214. August 15 – Whole Lotta Shakin’ Oldies Music Fest at the La Belle Amie Vineyard in Little River. Enjoy some wine, music, and dancing at this beautiful outdoor location. For more information call (843) 399-9463 or visit http://oceanislebeach.com/ai1ec_event/whole-lotta-shakin-oldies-music-fest/?instance_id=506797. August 15 – Bands, Brews, and BBQ at the House of Blues in Myrtle Beach. Event will include live entertainment, 30 craft brews to try with the glass included, and lots of good BBQ. For more information visit http://www.houseofblues.com/myrtlebeach/deck. August 15 – Cocktails and Cufflinks Charity Bachelor Auction at the Charleston Visitors Center in Charleston. Come on out ladies and bid for a date with your favorite bachelor or just bid and take the “Date Package” home and use it with your husband. For more information call (843) 402-6822 or visit http://www.letcinc.org/#!charityauction/c1sm. August 15 – Half Rubber Tournament to be held at the Recreation Department on the Isle of Palms. Competition for those 16 years old or older. For more information call (843) 886-8294 or visit http://www.iop.net/departments/recreation_adult_halfrubbertournament.aspx. August 16 – Freedom Benefit Concert at the Ashley River Baptist Church in Charleston. Come enjoy the fun and inspiring music by local artists Stefanie Potter and Fiona Varner. For more information call (843) 766-5521 or visit http://www.ashleyriverchurch.org/event/738629-2015-08-16-freedom-benefit-concert/. August 22 – Race for the ARK to start at 206 Central Avenue in Summerville. Proceeds will benefit the Alzheimer’s Family Support Services. For more information call (843) 832 -2357 or visit https://raceroster.com/events/2015/5252/race-for-the-ark. August 22 – “Breaking Benjamin” at the House of Blues in Myrtle Beach. Come out and enjoy this fabulously awesome Alternative Rock band. For more information visit http://www.houseofblues.com/myrtlebeach/events/eventdetail/?viewNav=/event-detail&eventId=0E004ED2F1F2AF1F&oid=0.